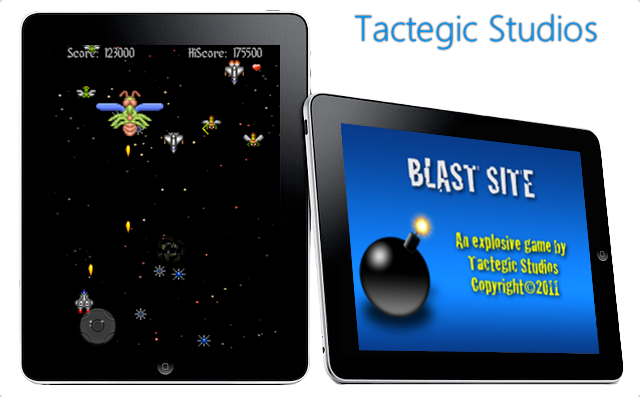 Tactegic Studios is an Australian developer of high quality mobile applications for iOS and Android devices. Our business apps and games have been regually featured on the appstores and have thousands of downloads. A classic retro space shooter arcade game that takes advantage of today's modern hardware and features. Blast site is an action strategy game where the objective is to explode and clear the objects from the Blast Site using carefully placed explosives. Check out the reviews of our games by Mike from Crazy Mikes Apps and Appshrink. Need help with one of our applications or just want to drop us a note? Legal Disclaimer. ©2012 Tactegic Studios. All rights reserved.